Saturday, 20/04/2013, Solvang, California. Just another day we spoiled Southern Californians have come to expect. Moderate temps, just a whisper of a breeze, and cloudless sky set the stage for the Santa Barbara County Vintners Festival. 80+ wineries pouring high scoring reds and whites, restaurants serving some delectable treats, and an outstanding chocolatier. It’s simply not fair – no place else can compare. Terry (my trusty photographer) and I joined our good friends, Diane and Allen Eggers, at the festivities. This year (for the first time in quite a while) the event was held at Mission Santa Ines. This is an excellent opportunity for the low cost of $75 to meet and greet with the winemakers, sample their wines, and overall select a few favorites for later enjoyment. In four short hours you can determine whether the folks in Santa Ynez can really do Rhone and Burgundy varietals justice. We stopped at over twenty booths. Most of the wines were very good, with some truly outstanding. Our first visit was at our perennial favorite, Jaffurs. Craig was there, serving his 2010 Thompson Syrah (probably my favorite Syrah of the day), High Tide (a unique blend that changes from year to year of Mouvedre, Grenache, and Syrah), and a refreshing 2012 Viognier. We first visited Jaffurs about ten years ago and return at least three times every year. 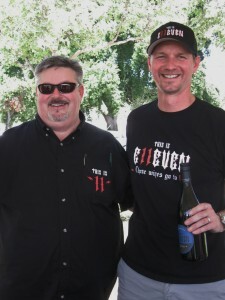 Besides making remarkable Rhone wines, Craig also has good community spirit. 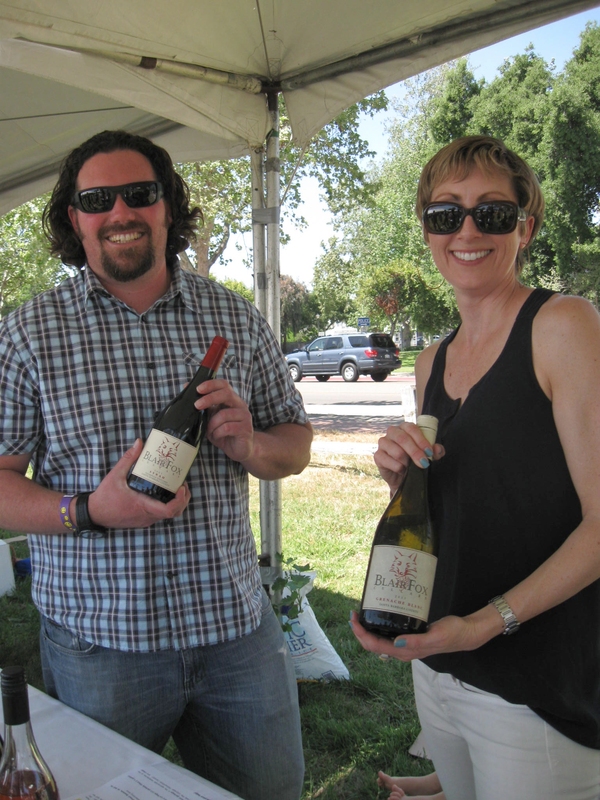 In 2010, Jaffurs and Zaca Mesa (another consistent high quality producer) jointly hosted a tasting to benefit the Santa Clarita Boys & Girls Club and raised almost $20,000 in the process. great structure, tasting of cherries and plums. A revelation of what Santa Ynez can produce. 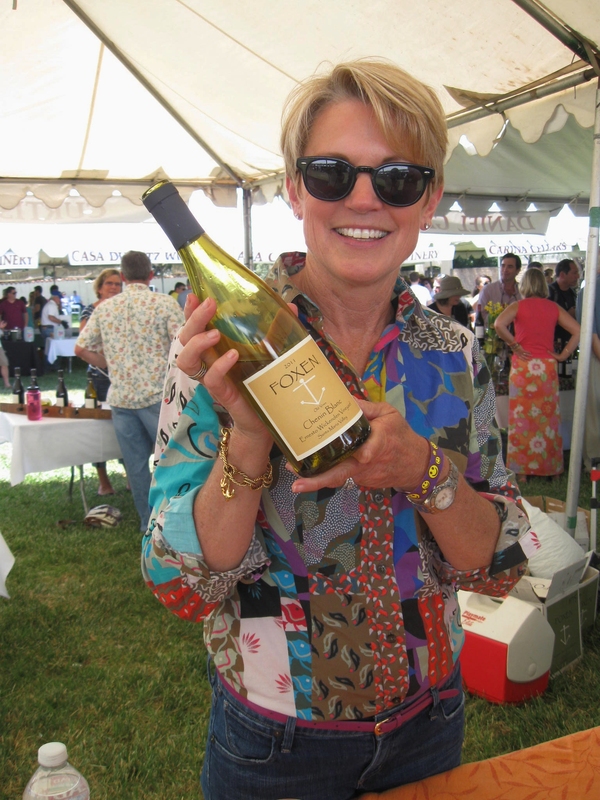 Foxen was followed by Brewer-Clifton, one of the finest Chardonnay houses around. We were so impressed that we made a point of stopping in Lompoc the next day to taste their full line. I figured it was going to be great – Allen and I had bought a mixed case of their 2005 Chardonnays. We only open them on special occasions, but the problem is that special occasions seem to be happening with alarming frequency. 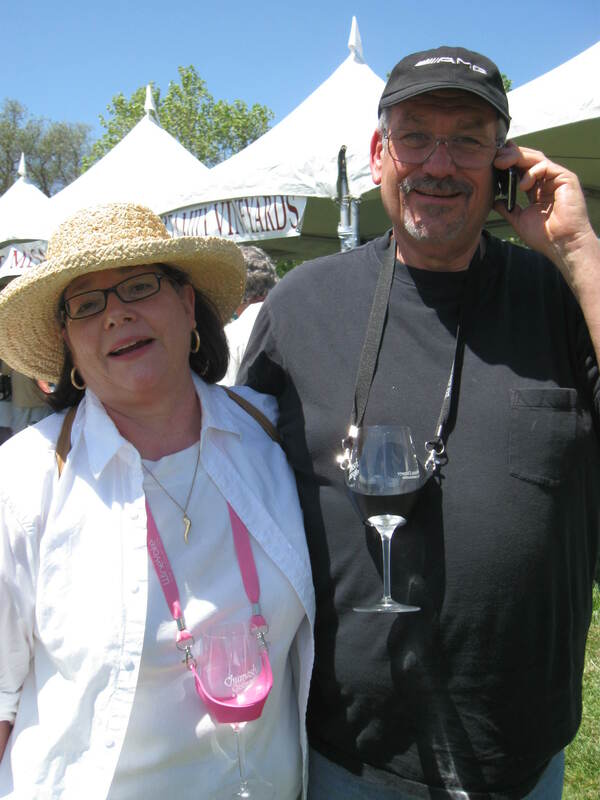 We had a chance to talk with Steve Clifton (and also sample his Palmina line of Italian varietals). He’s agreed to a more in-depth discussion which will be the subject of a future column. A few other notes. Rusack’s Bordeaux blend of Cabernet Franc, Merlot and Petit Verdot (called Anacapa) was amazing. It had a very long finish with overtones of pepper. We didn’t get to it until after two hours of back-breaking tasting. The fact that it stood out after that much wine is testament to its quality. A non-wine taste treat were the chocolates from Staffords Chocolates. Call them a week before visiting and they’ll even give you a tour. Their English Toffee was gone within ten minutes of setting it down – that’s how delicious it was. Overall, the Vintners Festival was most enjoyable. If you missed it (or even if you went), you should try to make the Celebration of Harvest in October.